The ex-libris of the tourism in the Atlantic Ocean, also known as "The Pearl of the Atlantic", is a place of vineyard’s cultivation. The well known “Madeira” wine is the best example, showing unusual qualities and features, such as its longevity. The viticulture in Madeira dates back almost to its occupation in the fifteenth century. The vines introduced here at the time were of Portuguese origin and also of other places in Europe. The English who settled there in the seventeenth century increased and improved the cultivation of vines. 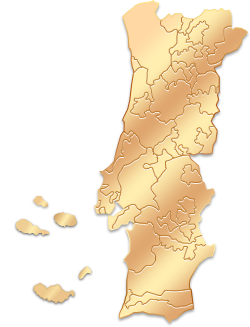 The production of white, red and rosé wines turned out to be internationally recognized and led to the creation of the Designation of Origin of Madeira in 1990. Despite its microclimates, which vary in drier or more humid areas, it is safe to mention that the region has a moderately temperate clime, with oceanic characteristics. The soils are volcanic and very fertile. The relief of the island is very irregular, so the vines are planted on the slopes of volcanic origin, adapting to the steep slopes and deep valleys. The noble white varieties are Sercial, Verdelho, Boal and Malvasia, vinified in order to provide different degrees of sweetness, marketed in a style respectively dry, medium dry, medium sweet and sweet. However, the most widely planted variety in the island is Tinta Negra, a red variety easily adaptable, able to fit the four styles of sweetness. The wine "Madeira" was considered by most European courts a very elegant wine. It was even used to serve as perfume on the ladies scarves. In England, Madeira and Port Wine competed for the first place in the preferences of the court. Even William Shakespeare, when writing a play for King Henry IV, made reference to Madeira wine. In the play the character Falstaff sells his soul to the Devil in exchange for a piece of cold capon and a glass of Madeira. Madeira is a subtropical green paradise of volcanic origins, with soils formed by lava and ashes, completely different from the soils of the continent. The island has a pleasant regular clime and it’s a real tourist attraction throughout all year. Funchal is the capital of the island and the only city with significant dimensions. It’s in Funchal that most museums and historical buildings are placed, as well as the best hotels, restaurants and shops. The city has also a marine and a port. We recommend a visit to the Cathedral, the Museum of Sacred Art, the Botanic garden, the Wineries of São Francisco and the Fortress of São Tiago. Placed in Santa Cruz, 18 Km (11mi) northeast from Funchal, +351 291 520700. More infor. : www.anam.pt. Tourism Shop, +351 291 524933.